Red Bull KTM Factory Racing’s Jonny Walker remains at the top of the World Enduro Super Series championship standings following a hard-fought third place result at Red Bull Romaniacs. Entering round four of WESS with a 275-point lead in this year’s championship chase, Walker was keen to build on his strong start to the season. As a two-time winner of the notoriously tough race, he was determined to use that experience to claim the best finish possible in the five-day Rallye. Kicking things off with fifth in the prologue, the British rider got down to business on the first full day of competition to place a strong third. Improving to second on off-road day two he then maintained his position inside the top three with two more third placed stage results, despite the difficult conditions decimating the field. 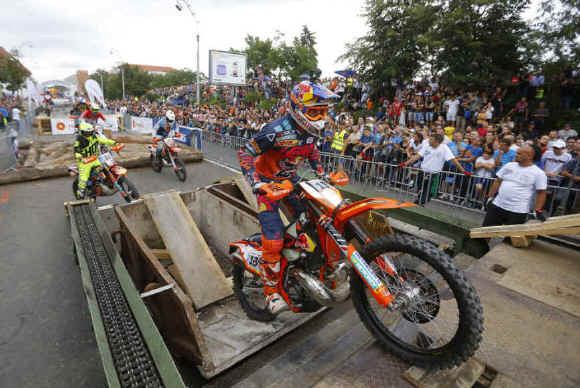 Completing almost 27 hours of racing during the five-day race, Walker ended his participation in the 15th edition of the Red Bull Romaniacs third overall and with his WESS championship lead intact.